I recently received email query about Health insurance Plans for NRI in India. The query was very simple, I am NRI living in Bahrain and looking for Best health insurance plan in India. Kindly suggest suitable family cover plan covering basic and critical illness. Can NRI get health insurance policy in India? Can NRI travel to India for treatment and claim? What NRI need to know before buying health insurance in India? These are most common questions asked by NRI. In this post, I will try to answer these questions. Can NRI get health insurance policy in India? Yes, NRI can purchase health insurance policy whenever they visit India as they may need to undergo a medical checkup. All procedure for purchasing health insurance should be completed during their period of stay in India. NRI needs to submit residence proof, passport copy, and PAN card while applying for health insurance in India. If NRI cannot produce these documents they are not eligible to buy health insurance in India. The payment of the premium should be made from NRE account. NRI can travel to India for treatment and claim. At the first instance, health insurance by NRI in India seems to be a lucrative option. As the cost of medical treatment and premium in India is very low compare to USA, UK, and other foreign countries. However, one need to be careful about geographical coverage offered by the Insurance Company. 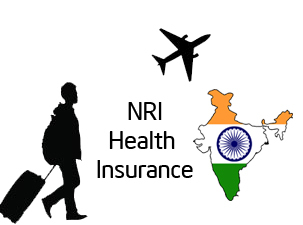 Which Health Insurance Options are available for NRI in India? As such treatment outside India is, not covered by the majority of health insurance policy. However, few policies such as Religare Health Care provides global coverage. This policy comes with Care Anywhere option. This option is available for coverage above 50 Lakhs. One can buy appropriate health insurance policy cover as per need based on premium, benefits, and features. It is recommended to buy family floater plan with built-in critical illness, hospitalization, pre and post hospitalization cover. Recommended Post – How to claim benefit for multiple health insurance? What NRI needs to know before buying health insurance in India? The first point is geographical coverage by health insurance policy. Most of the policy place restriction that the benefits and expenses covered under the plan are limited only for treatment in India. NRI must understand that as per FEMA rules claim payout can be repatriated out of India to the extent of the premium paid in foreign currency. NRI can avail Tax benefit as per section 80 D. The benefit under section 80 D is to decrease tax liability on taxable income in India. When should NRI buy health insurance in India? NRI should buy health insurance in India if any of the following condition is true. Currently, you are NRI but if you are planning to return to India in next 2-3 years. If you are residing abroad but your family is residing in India. If you wish to avail medical tour benefit in India. If you want to avail Income Tax benefit of 80D. If you are visiting India very often. When should NRI not buy health insurance in India? If you are not visiting India very often. If you are not planning to return to India in next 2-3 years. If you are already holding other health insurance policy in the country you live. I hope all my NRI friends has now good clarity about Health insurance plans for NRI in India. Do share your experience and views in the comment section. I’m an NRI. My family in India. I have HDFC Ergo for 3L coverage. 2 year premium paid. No claim so far. Can I switch to Religare health care ? Is this will be better choice ? And can I retain the waiting periods for pre exciting diseases? Or it will be reset ? Please advice. You can continue with HDFC Ergo Health Insurance. Religare health care is taken as example as it gives coverage outside India also. However, Global coverage comes with higher value plan only. As you have already taken HDFC Ergo no point in switching as you will lose No claim bonus. Would you please suggest some good health insurance plans? You can plan to purchase Apollo Munich Health Optima restore family floater plan.